The Wikkerink’s backyard oasis is a truly stunning escape. This hidden getaway provides a complete sense of isolation from the rest of the world thanks to the sprawling natural landscape that acts as a barrier from your everyday worries. 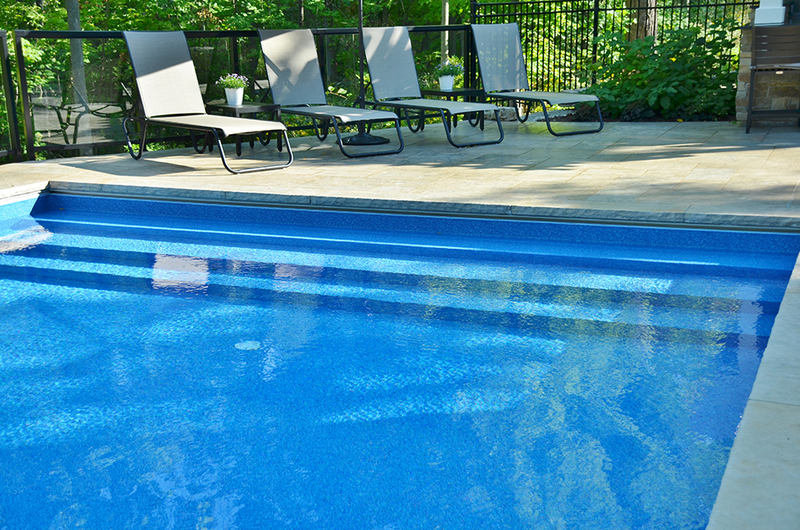 In this world, relaxation comes first, and with an elegant Rectangle Inground Pool, that won’t be a problem. Make your way into the inviting body of water using the Vinyl Over Steel Steps that sprawl the width of the pool to continue the seamless rectangular design. The rich colour from the Carribean Blue liner makes this inviting water almost feel like the fountain of youth, giving you energy and excitement each and every time you step into it. The underwater lighting allows you to enjoy this mythical retreat day or night. Deck jets are placed throughout the pools edge decking that arc cascading water into the pool for a display unlike any other. 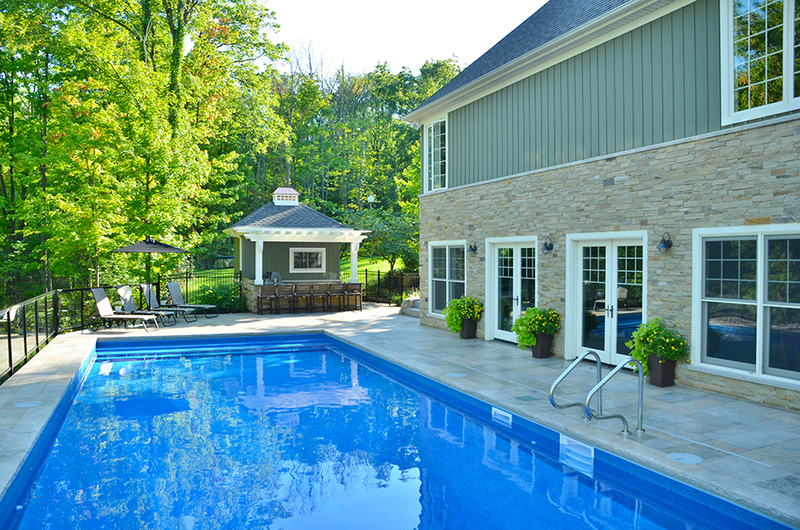 When you’re finished with your relaxation, keep the pool debris free using the Automatic Cover that rolls out over top of the water with the turn of a key. This pool truly signifies form and function at its finest.